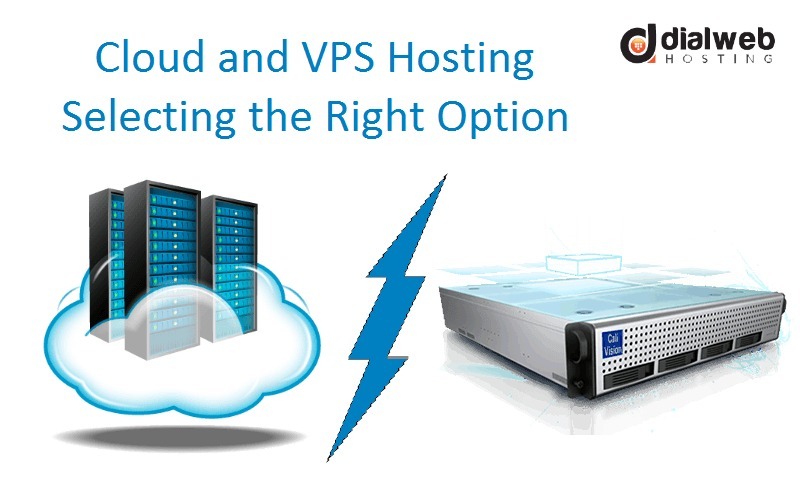 It is very interesting to find a large assortment of similarities between cloud hosting and VPS hosting. In order to know which of these can be considered as a right hosting solution, you should discover differences between these alternatives rather than similarities. Considering that you have a VPS plan and a cloud hosting plan without any difference in their prices, we find that virtualization on a single server and virtualization on a single cluster are the basic principle behind these plans respectively. While VPS is ideal for websites in small to medium range, cloud is better suitable for large websites. For a limited budget, it would be prudent to select VPS hosting since it offers more features than cloud hosting at the same cost. VPS hosting allows greater server resources such as CPU, RAM, and disk space in addition to a seamless access to user friendly control panel and dedicated IP addresses. With a VPS hosting package, you will be allocated a Virtual Private Server that possesses dedicated resources including CPU, RAM, disk space, and bandwidth. These resources are exclusively available for your VPS and cannot be shared with anyone. This attribute of VPS hosting brings it closer to a dedicated server hosting. VPS allows you a freedom to reboot, add firewall, and use applications of your choice at significantly low cost of hosting. The technology used for creating a cloud is known as a hypervisor based virtualization that facilitates creating number of virtual servers throughout a cluster of physical servers. One of the striking features of cloud hosting is on demand provisioning of server resources. It is observed that VPS hosting plans are comparatively cheaper than cloud hosting for identical resources. The price of cloud hosting is almost double than VPS hosting for equivalent amount of resources. Users of VPS hosting plans are provided with specific amounts of server resources based on their package. In the event of growth in resource requirement that exceeds the allotted resources, user is required to upgrade to higher level of plan. This is applicable even if a single resource is required to be upgraded. There are certain hosts that enable modification of single server specifications. Cloud hosting scores over VPS hosting, in terms of resource availability and resource provisioning. Users are free to scale any specific server resource upwards or downwards instantly. This is possible due to presence of a plethora of cloud servers that are clustered together for sharing their resources in order to maintain sufficient resource availability. Users of VPS hosting can exercise full control of their Virtual Private Servers including full root access, freedom of installing variety of applications or operating system of choice. VPS hosting provides user friendly control panel that facilitates server management. VPS hosting is regarded for outstanding security due to total isolation from other accounts. Some of the reputed VPS hosts also provide facility of free backups. As far as server administration is concerned, users of cloud hosting cannot expect same level of controls as found in VPS hosting. Most of the server related facilities including operating systems are setup by cloud hosting providers and users are not allowed access to the underlying server configuration. Similarly, users are also not allowed to implement their own security policies due to possible restrictions put in place by cloud providers. If you are able to select right VPS hosting provider, then you can expect a robust website performance in terms of page loading speed as well as network uptime. Secondly, VPS hosting is also reckoned for privacy of hosting environment and hence it is fairly secure as well. In terms of website performance, cloud hosting and VPS hosting are almost at par; however cloud hosting is more reliable due to availability of multiple servers in a cloud cluster. Cloud hosting is preferable for hosting large websites with greater resource needs due to fluctuating demands. VPS hosting can be the right choice for small as well as medium websites.